According to a survey conducted by Regalix, in 2015 the majority of business-to-business marketers invested in digital marketing, with some 38% even shifting spend from traditional mass advertising to advertising across digital channels. These recent statistics highlight just how important enforcing a clear, succinct and ultimately successful digital marketing strategy is, but what does it mean for the brands these professionals represent? And more importantly, for small to medium sized businesses like you? It’s a fact that more and more brands are relying predominantly or even solely on business generated online, and evolving digitally has therefore become an important part of operations for multiple organisations, but when does your existing strategy become old news? Here we’ll explore the signs that say it’s time for a change, check up on the latest strategic moves taken by the world’s biggest brands, and explore the factors that will shape your strategy for the year ahead. Time for change: Is your campaign due for a revamp? As I own a Web Design Company in Leeds I know many practices that sit at the heart of the average digital marketing campaign, including pay-per-click (PPC), social media, search engine optimisation, web design and development, online marketing and content marketing, establishing a strategy in the first place takes a lot of research, expertise and hard work. However, the key to a successful marketing plan, whether based online or off, is moving with the times. Changing your digital marketing outlook isn’t just a matter of switching up a few tactics come the New Year, your plan should be constantly evolving to ensure success in the face of new trends, changing customer preferences or market specific advancements. Whilst the internet is known for its unpredictability, garnering unpredictable results shouldn’t be an outcome of your digital marketing prowess. There are a wide range of tools that can help you to efficiently and accurately measure your marketing effectiveness, something that must be done throughout the lifespan of any campaign. From website metrics such as page views, time on site, crawl rate, bounce rate and inbound links to social media measurements of reach, buzz, engagement, participation, transaction and advocacy, defining which parts of your campaign achieve unpredictable results or simply don’t perform at all isn’t as challenging as you may think. Many tracking tools are free to use with Google Analytics, Search Console, Scoop.it and Buffer just some of our favourites. Static traffic can also provide evidence that certain strategies aren’t performing as well as they should be, as with more than 100 million new internet users annually, your website should be growing organically, even if it’s by a fraction, without a finely tuned marketing strategy in place. If your traffic and reach is not rising, then your current strategy will need to be upgraded. Whether your goal is to increase return on investment, expand your market reach or simply get your brand name out there to the people (i.e. 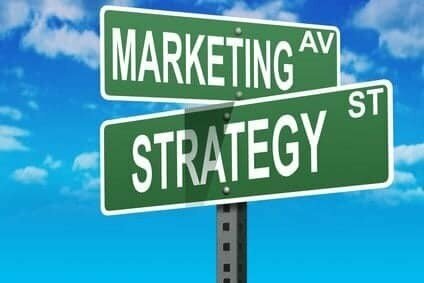 potential customers) who matter, many SMEs have big expectations when it comes to their marketing plans. So what better way to aim high than to take a closer look at what one of the world’s biggest brands is doing digitally! Coca-Cola is a household name across the globe, a brand that has overcome language barriers and other hurdles to become the world’s best loved beverage. Their recent change in strategic direction delivered a vital insight for fellow businesses, big and small, and offered a few life lessons for the wider marketing community. Whilst it was the company’s ‘debrand’ – Coca-Cola’s Share a Coke campaign witnessed a personalised product take the place of their iconic brand name – that hit the marketing headlines in 2013, this year, their ‘One Brand’ strategy provoked unity across all their trademarks. Described as the “biggest strategic change in the history of the company”, One Brand saw the firm take a solo brand global with new strapline, Taste the Feeling, and evoke the universal moments that people, regardless of their creed or home country, experience. This particular campaign offers a poignant reminder of just how important storytelling is, and how every great marketing move, as demonstrated by a company that already dominates the mass market, should provide consistency to the consumer and ultimately stay true to the values that it and its customers hold dear. Whilst no two digital marketing campaigns should be the same, there are a number of steps you can take as a small to medium sized or start-up business to transform your strategy and achieve success in the year ahead. It’s no secret that your commercial website is a portal for better business so make sure it is engaging, relevant and as up-to-date as possible. Removing, changing or editing any outdated content is a great place to begin, and new content should be written not for the search engines but for your visitors. Research gathered by the Content Marketing Institute revealed that 70% of marketers are creating more content than they did one year ago. But remember content posted across your social media platforms, on-site blog and off-site should be treated individually so keep it unique and don’t forget those calls to action. The same theory applies to the imagery used on your website and across your social media channels. Whilst the power of content led marketing is well-known, its combination with stunning and relevant images is just as impactive. Consumer trends and more specifically user behaviour should help shape your strategy further. Advertising across social media platforms has been, and still is, a great way to target the groups interested in your industry sector, and trends show that the utilisation of digital advertising isn’t set to come to a halt any time soon. Whilst Facebook ad investment has growth steadily in recent years, with a 11.9% rise in spending predicted next year, using its mobile platform to advertise has exploded in the past two years and is set to continue growing rapidly into 2017. There are now more mobile only consumers than desktop consumers, with those surveyed admitting to spending 60% of their time on digital media, so capitalise on this by introducing a strategy that puts mobile and content first. Search algorithms are backing the mobile-first, content-first approach with website speed still essential to getting those conversion rates as high as possible. With brands spending more money putting their best face forward online, evolving digitally should be embraced by all so… where will your strategy take you? Richard Barker is the founder of full-service digital marketing agency Harrison Mann. He specialises in search engine optimisation, pay-per-click, content marketing, website design and social media marketing, all of which have been used to help clients from across the country grow their online presence and boost their bottom lines.